By adding smartphone scannable QR Codes on business cards, professionals can set themselves apart. Let's find out how. Although we don't like to admit it, we often waste time and money sourcing business cards with key information about who we are and what we do, only for clients to throw them away or forget about them. That's not always because they have found a better partner for whatever work they require. And it's not because you don't have the skills they need. Often, business cards are simply discarded because they don't catch the eye or stand out from the crowd. But there may be a solution: scannable QR Codes on business cards such as the vCard Plus QR Code. 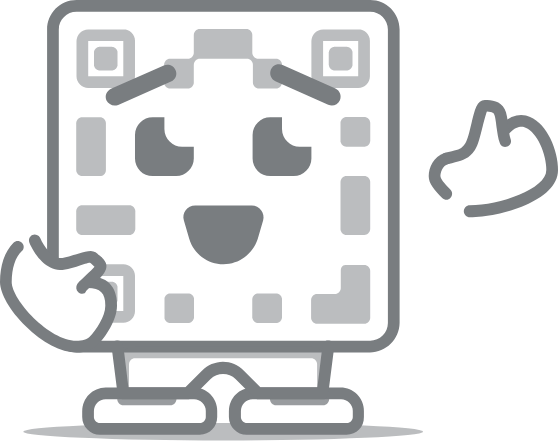 For those who aren't familiar with them, QR Codes are black and white boxes which look a little like white noise, and have three squares on the top right, left and bottom left. They are designed to be scanned by almost every variety of smartphone, and simply require users to access to a QR scanning app, which most people will already have in any case. These Codes can commonly be found on food packaging and adverts of all kinds, and they can also be a powerful tool for professionals. In fact, they've been used for a while now by creative thinkers, and there are plenty of reasons why you should join them. 1 - Link straight to an online resume. This could be anything from a well-managed LinkedIn page, to a website created with Wix, or using a PDF QR Code. QR Codes on business cards can send people directly to any of these locations. 2 - Show off your creations. If you're in a creative field like animation, graphic design or illustration, a scannable Code can alert contacts to your unique skills - something that ordinary printed cards could never achieve. 3 - Persuade contacts that you're willing to try something different. When you are hunting employment, that can be a priceless asset. 4 - Place a QR Code on your resume. This could flesh out the material contained in your resume, linking to projects, references or any relevant material. 5 - Make your card impossible to resist. Business cards are pretty generic things, but adding QR Codes provides an eye-catching visual element which makes them much harder to ignore. Small business owners can also benefit from scannable Codes on business cards, helping their company stand out from the crowd. Imagine being handed a card for a landscape gardening company. If you can scan a Code on this card and use the Video QR Code to showcase the beautiful designs created by this company, you're going to be much more likely to look them up, right? Video marketing content, blogs and websites are great ways to personalize your business, creating a bond with potential customers. But getting customers to view them is a challenge. Scannable Codes get over this problem with an elegantly simple solution. Given these advantages, adding QR Codes on business cards seems like a no-brainer. At the very least, it's worth a shot. And there are plenty of ways to do so, letting you harness your personal marketing skills to find a method that suits your pitch. Some people are bold, opting to add just their name and a QR Code with a Frame. This way, clients have to scan the Code to find out more. The idea is to make them curious about what lies behind the Code - which tends to give this type of card a higher scan rate. For creatives, you may want to link to your YouTube account using the Social Media QR Code or Video QR Code. Still others keep the Code separate from their core graphics, letting them focus on adding color and visual appeal, while having the benefits of the Code as well. It's really up to you. Business cards can feel like a compulsory part of the professional world. If you ever found yourself wondering whether you are getting the most from your personal business stationery, QR Codes could be the answer. At QR Code Generator, we provide the tools professionals need to create stunning business cards. If you've been inspired and want to give it a go, there's no better way to get started than by downloading our Print and Design Guides. Give them a read and try our app. You'll soon have clients and offers flooding in.